Following in the trend of an all-pickup concept group from Jeep; the five-quarter concept is more of what I was hoping the new gladiator would look like. It wouldn’t be Easter Jeep Safari without a Hellcat crate engine in something. The Five-Quarter isn’t based on a Wrangler or a new Gladiator, but an extreme resto-mod of a 1968 M175 military truck. 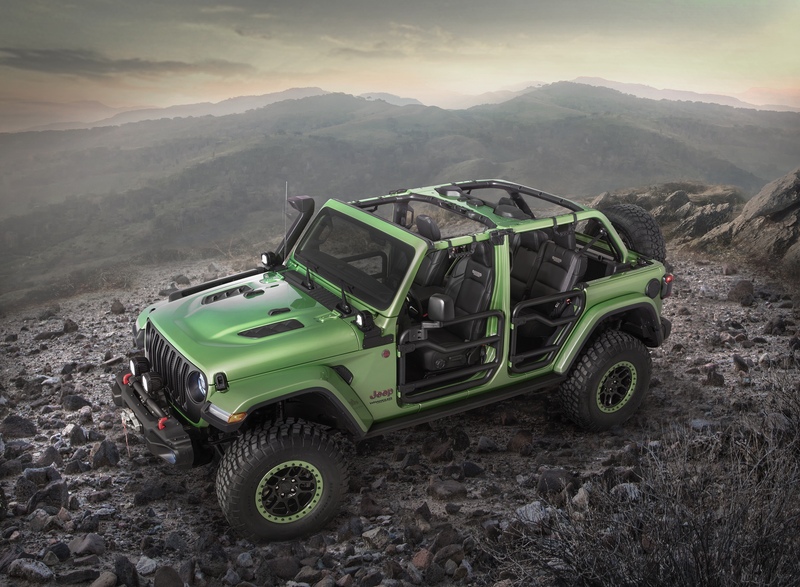 The cab and windshield are basically all that remain of the original truck… a supercharged 6.2L Hellcat crate engine is paired to a three speed automatic… a Dana 80 rear and Dana 60 front turn the 40″ tires. I can’t wait to see what this thing does in Moab.